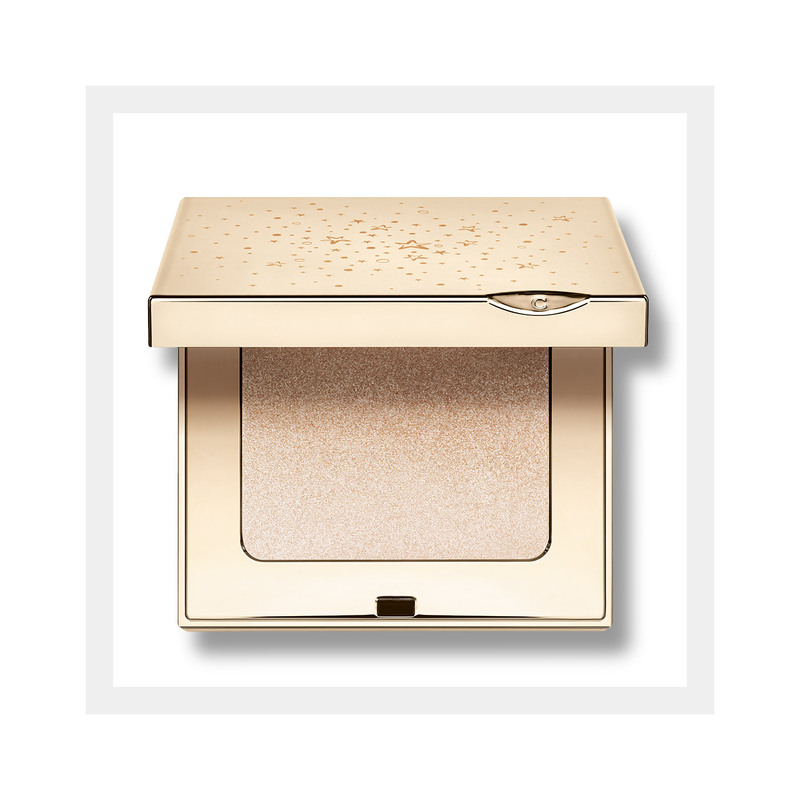 Gold-flecked pressed powder compact that sculpts, highlights and defines face and décolleté. Radiance at your fingertips—a gold-flecked, pressed power compact with everything glowing for it. Sculpts, highlights and defines brows, cheek bones, chin, inner eyes, bows of lips and décolleté with a sheer dusting of holiday brilliance. Rated 3 out of 5 by OzY6 from too shiny for me I bought this for its illuminating features but I didn't know it was shining too much for my taste. I should have read more carefully!